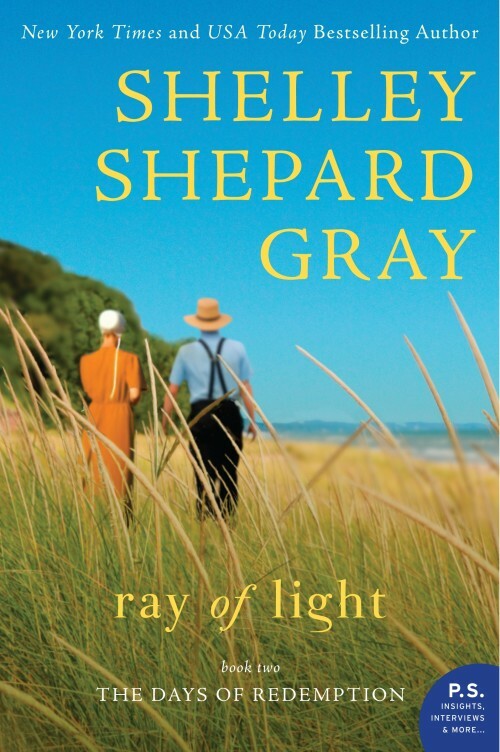 The big take-away for me from the novel Ray of Light by Shelley Shepard Gray was what an amazing God we have. I realize that this is a fictional account; but I know that things like this do happen in people’s lives. The idea that he could take a young widow, single Mom living in Florida and a young man living in Ohio and bring them together, and the fact that they were perfect together – soul mates – absolutely blows me away. The idea that we have a God who cares about two people living 1,000 miles away from each other is amazing. Gray’s story about two individuals, both New Order Amish is a beautiful story. While I have read several pieces of Amish fiction I was unfamiliar with the New Order Amish and found this part interesting. The book deals with some of the issues that come up when two people begin to explore marriage, especially the adjustment when it involves a long-distance move for one of the individuals. This is also a story about a family going through difficult times that was able to stick together and help each other through the problems and troubles. The book gave me new insight into a different kind of Amish community which I enjoyed. For example, I had no idea that there was an Amish community in Florida. Most of all, it showed that we have a detail minded God who cares about all areas of our lives. I do recommend this book. I received this book from the publisher in return for a review. All opinions stated are my own. Bestselling author Shelley Shepard Gray brings inspirational romance to life in this sweet tale of love in the Amish community, Ray of Light, the second installment of her Days of Redemption series. Roman Keim just wants a break from the family drama at his snowy Ohio home when he heads to an Amish snowbird community in Florida. There he meets Amanda Yoder and her daughter Regina who soon are warming his heart. But will Roman return to Ohio or will he stay and help the young widow embrace a second chance at love? 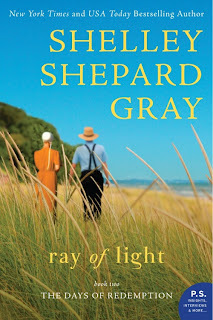 The author of the series Sisters of the Heart and Seasons of Sugarcreek, Shelley Shepard Gray delivers an honest, tender love story in Ray of Light, featuring the challenges of faith, family, and romance. 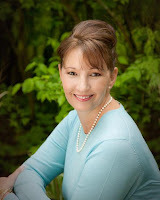 Shelley Shepard Gray is the New York Times and USA Today bestselling author of the "Sisters of the Heart", "Seasons of Sugarcreek", "Secrets of Crittenden County", and Families of Honor series. She lives in southern Ohio, where she writes full-time, bakes too much, and can often be found walking her dachshunds on her town's bike trail. Pennsylvania Patchwork by Kate Lloyd is a story set in an Amish community in the Lancaster area. It is the sequel to Leaving Lancaster. I found that there were details in the story that made me feel that I was missing background. I would recommend reading the first book in the series, Leaving Lancaster first. I think that the book might have made more sense to me if I had the background of the first volume. Holly Fisher is the protagonist, a young woman who came from Seattle to the Amish community where her mother had grown up. Her mother, with her Amish husband, left the community before Holly was born. Holly’s father was killed in Vietnam. Holly is in her 30’s; but I felt her maturity level was back somewhere in her early teens. She is being courted by three men, all who strut around like roosters, arguing with each other and showing hostility. Holly’s mother is engaged to an Amish man and she plans to join the church. However, her fiancé is in Ohio checking out a rumor that his first wife was still alive. The other important character, Mommy Anna, is Holly’s maternal grandmother who seemed pretty crotchety to me. If this all sounds confusing, I would say it is. There is so much going on. Towards the end of the book Holly stated that her life was like a soap opera. I thought that pretty well summed up the book. The book only spans a time period of 2 or 3 days. These days are packed with drama that continued to reoccur. The story did seem to pull together and end well. For someone who enjoys Amish fiction this book could have some merit. However, I would not recommend it for a general audience. I received this book from the publisher in exchange for a review. All opinions expressed are my own. Seattle native Holly Fisher is smitten by Lancaster County, its simplicity and her long lost relatives. In the sequel to bestselling Leaving Lancaster, Holly embraces the Amish culture, learning to slow down to see what --- and who --- really matters. Meeting the family that her mother had kept hidden from her, Holly comes face to face with her real life and blood legacy. She also falls for the charming Zach, a handsome Mennonite veterinarian who is everything she's ever wanted in a husband: confident, kind, successful, and authentic. And Zach proposes marriage. Is this too soon? Is this the right choice? Mother and Amish grandmother think she's rushing into too much of a lifestyle change. Holly is in love with Zach and that precludes everything. Until she meets an attractive Amish man. And an old suitor shows up. Pennyslvania Patchwork is the moving, richly told story of one woman's heart, her faith and trust, and the choices she makes. Never easy, but one choice can change your destiny. 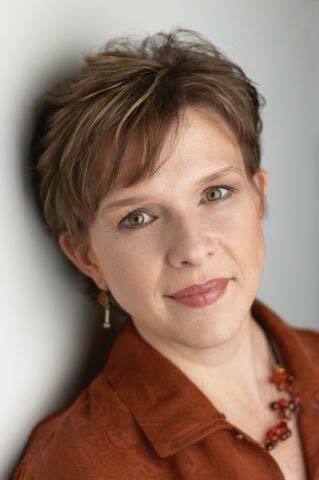 Author Kate Lloyd is a passionate observer of human relationships. 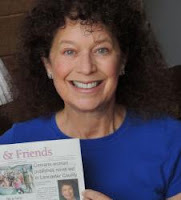 A native of Baltimore, Kate spends time with family and friends in Lancaster County, PA, the inspiration for her novels. She is a member of the Lancaster County Mennonite Historical Society. Kate and her husband live in the Pacific Northwest. Kate studied painting and sculpture in college. She's worked a variety of jobs, including car salesman and restaurateur. 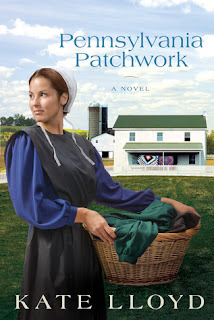 Kate Lloyd is celebrating the release of book two in her Legacy of Lancaster Trilogy, Pennsylvania Patchwork, by giving away an authentic Amish-made quilt! Enter today by clicking one of the icons below. But hurry, the giveaway ends on June 29th. Winner will be announced on July 1st at Kate's blog. 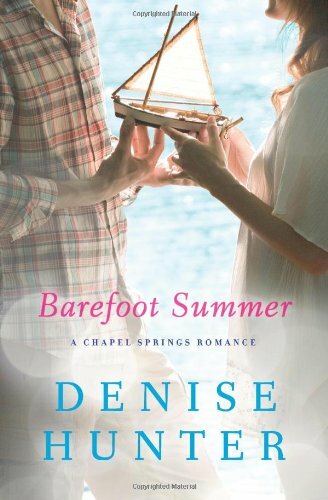 If you are looking for an easy read novel to just relax this summer, Barefoot Summer by Denise Hunter might be just the book for you. It is the love story of Madison McKinley and Beckett O’Reilly. Madison is a veterinarian in the small Indiana town of Chapel Springs. To be honest, Madison irritated me. She was raised in an affluent family that was influential and things usually worked out well for her: star role in the summer theatre, popular top student, and a happy, carefree home life. My feeling was that she had an attitude of entitlement. She had experienced a family tragedy several years ago. At the age of 27 she was still blaming God. God could have stopped the tragedy from happening so Madison still was not talking to Him ten years later. Insomnia and nightmares left her feeling a loss of control. She was accustomed to doing everything well and her fatigue interfered with her work as a vet. After a mistake that could have taken a beloved dog’s life her boss made her take a leave of absence. My father grew up the son of an alcoholic – the son of the town drunk. I heard stories about how difficult life was for him and his siblings. Consequently, I felt a great deal of empathy for Beckett who was the son of the town drunk. Beckett and his sister had numerous obstacles to overcome. In spite of this, they both grew into God-loving, competent, hard-working, intelligent adults. Beckett’s main difficulty was his lack of self-esteem. He believed that he was not worthy of Madison. The story included sailing and preparing for a regatta along with summer theatre. It portrayed an idyllic summer life in a small town that included an amazing sounding coffee shop and a beautiful riverside park. As said, this is a good book to read during the summer, perhaps while relaxing in a hammock with an ice-cold lemonade. Madison's heart has been closed for years. But one summer can change everything. In the years since her twin brother's tragic drowning, Madison has struggled with her ability to trust God--or anyone else, for that matter. It was her brother's dream to win the annual River Sail Regatta in their small harbor town of Chapel Springs, Indiana. And Madison's determined to honor his legacy by making his dream her own. Maybe then she can finally find closure. But learning to sail means learning to swim. And her instructor is Beckett O'Reilly, a man who already has two strikes against him in Madison's eyes. Being on the water terrifies Madison. But Beckett's calming presence and unwavering confidence eases her fear. And as much as she'd like to deny it, the chemistry between them is electrifying. As her feelings for him grow, a fledging faith begins to take root in her soul, as well. With Beckett, Madison feels alive for the first time in years--carefree and confident she can win the regatta, maybe even find love. But Beckett harbors a secret that will test the limits of their love and the depth of Madison's faith. Will their love survive summer's challenge? And will achieving her brother's dream give Madison the peace she desperately seeks? Summer: it’s all about sunny skies, star-gazing, swimming, spending time with loved ones, and living as if a small part of the weight of the world has been lifted off your shoulders. Get ready for some serious summer fun with Denise’s 12-Day Summer Sun giveaway. From June 10-21, keep your computer near as you head to the lake or your friend’s barbecue because Denise will be giving away a summer essential each day! It is rare that I find a book that engrosses me so deeply that I shirk tasks that need to be done, keep reading even though I am exhausted, and ignore my hungry stomach. 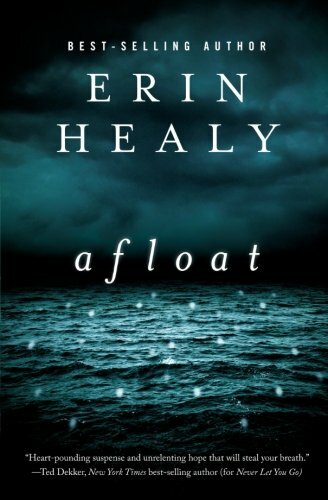 It is often said that an exciting book is a “page-turner.” Afloat by Erin Healy truly is a page-turner. The book grabbed me before I got to page 15 and the suspense just continued to build, right to the end of the book. Afloat is a book that showed the stark contrast between good and evil; and it showed that God is truly real. It showed the amazing strength that an individual trusting in God has even through the most frightening, darkest times of life. Healy skillfully presents the hero, Vance, juxtaposing two different times in his life, revealing how he developed into the man that he became. She showed the process that the character Danielle went through, changing her as only God could. Healy’s descriptions of secondary characters gave an insight to how different people react to disasters and difficult times. It made me recall the two times in my own life when tornadoes struck the town I lived in. There were definitely people who totally lost it, while others were the types of people I would want with me if I ever have to go through a disaster again. The book is a thriller; and I highly recommend it. I received this book from the publisher in return for a review. All opinions expressed are my own. Who will you trust when dark waters rise? Eagle's Talon is an architectural marvel-shining residential units afloat in a protected cove of the gorgeous Rondeau River. The project is nearly complete, partially occupied, and ready to make investors rich when a sinkhole gives way. Then torrential rains and a flood leave a ragged collection of builders, investors, and residents stranded in one floating building, cut off from the rest of the world. They're bitterly divided over what to do next. Architect Vance Nolan insists they should sit tight and wait for rescue. Developer Tony Dean wants to strike out into the darkness. And single mom Danielle Clement, desperate to protect her young son, Simeon, struggles to hold their motley band together. Power failure, a pall of unnatural daytime darkness, explosions in the distance, then a murder ratchet tensions to a boiling point. But Danielle's young son, Simeon, has spotted something strange underwater-beautiful, shifting lights in the dark water below. In this watery world where everyone's secrets will eventually come to light, salvation may mean more than just getting out alive. Another stunning exploration of the human spirit and supernatural possibilities from best-selling author Erin Healy. Erin Healy is the best-selling co-author of "Burn" and "Kiss" (with Ted Dekker) and an award-winning editor for numerous best-selling authors. She has received wide acclaim for her novels "Never Let You Go", "The Baker's Wife", "House of Mercy", and "Afloat". She and her family live in Colorado. Erin can be contacted through her website ErinHealy.com or through Facebook at erinhealybooks. Find out more about Erin at http://www.erinhealy.com. 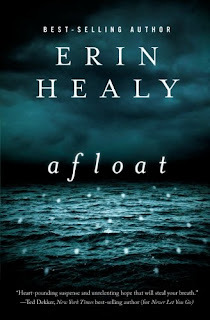 Erin Healy is celebrating the release of her latest novel Afloat (Thomas Nelson) with an iPad Mini giveaway. Enter today by clicking one of the icons below. But hurry, the giveaway ends on June 15th. Winner will be announced on Erin's blog on June 17th. Save the date and click HERE to see if YOU won the iPad Mini! Don't miss a moment of the fun; ENTER today. Tell your friends via FACEBOOK or TWITTER and increase your chances of winning. Visit Erin's blog on the 17th!